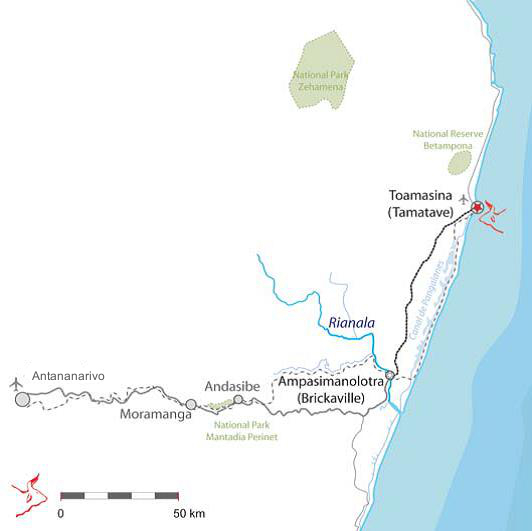 Toamasina province and city can be reached by plane, by taxi-brousse (minibus), and by train or boat. Toamasina has an international airport with flights to and from La Réunion, the neighbouring island, on Sundays and internal flights to and from Antananarivo, and Maroansetra; flights from Antalaha and flights to Ste Marie. Flight schedules are subject to regular change, so check beforehand. 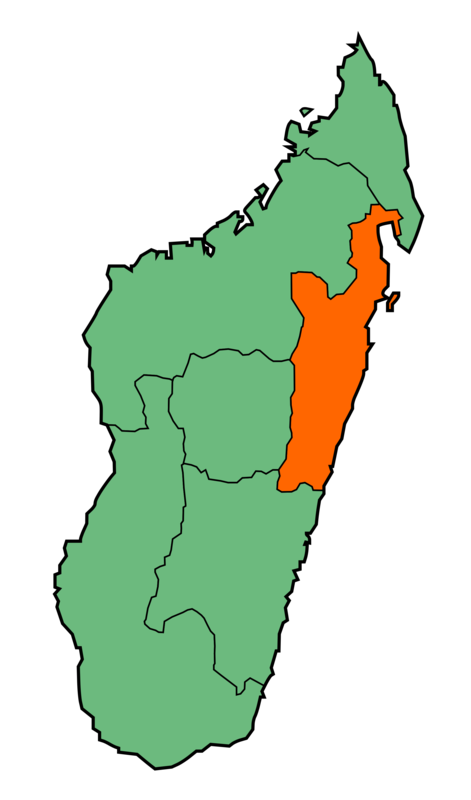 The province and city of Toamasina can be reached from the capital Antananarivo (locally known as Tana) via the Route Nationale 2 (RN2). 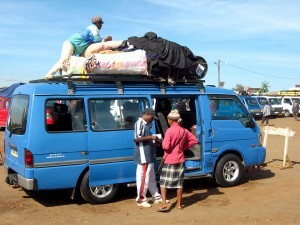 Taxi-brousses leave from the coach station in Antananarivo early in the morning and late in the afternoon. The coach station for Toamasina is located in the Ambodivona quarter, in the northeast of Antananarivo. If you take the taxi-brousse early in the morning you can enjoy the landscape and some really stunning sights. If you go late in the afternoon you’ll arrive in Toamasina very early in the morning. The taxi-brousse central station in Toamasina, where you arrive, is only a five minutes’ walk from Centre Lambahoany. You can hire a pousse-velo maximum 1000 Ariary (5000 Francs Malgache of FM) to transport you and your luggage to the Centre. 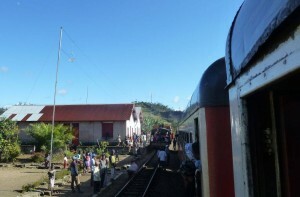 The Train from Moramanga to Toamasina leaves once a week on Monday (returning to Moramanga on Tuesday). It is a cargo train with some carriages for passengers. Slow but adventurous. Furthermore, Toamasina, as the main seaport, can be reached by boat from the neighbouring islands La Réunion and Mauritius. You have to find a cargo boat heading for Toamasina and ask if they can take you. When you want to travel further north from Toamasina town you can take a taxi-brousse, or the special bus that connects with the boat to St. Marie Island. 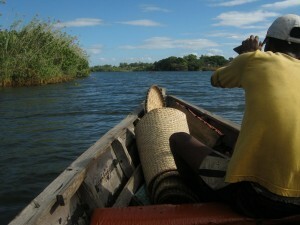 If you travel south the taxi-brousse is an option, but you can also consider taking a boat down the Pangalanes Canal.